Pope Francis has appointed Most Reverend Bishop Peter Andrew Comensoli of the Diocese of Broken Bay as the ninth Archbishop of Melbourne. 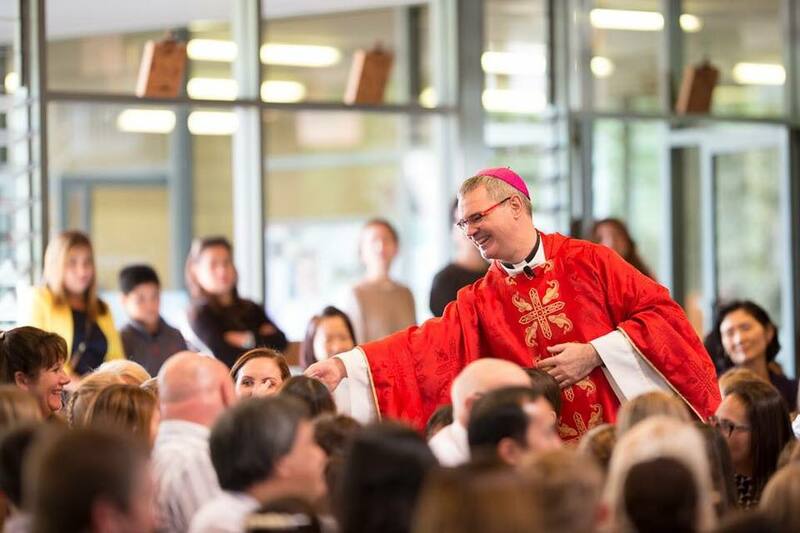 Archbishop-elect Comensoli was born in 1964, and grew up in the Illawarra region of New South Wales and was educated by the Good Samaritan Sisters and Marist Fathers. He studied commerce at the University of Wollongong and worked for a time in the banking sector. He entered the seminary in 1986 and was ordained in 1992. Following his ordination, Archbishop-elect Comensoli undertook postgraduate studies in moral theology in Rome and at the University of St Andrews in Scotland. After serving in a number of parishes in the Diocese of Wollongong, he was Diocesan Chancellor for six years prior to his appointment as Auxiliary Bishop to the Archdiocese of Sydney in 2011 and as Apostolic Administrator to the Archdiocese of Sydney in 2014. He has served as Bishop of Broken Bay for the past three-and-a-half years. Archbishop-elect Comensoli said in a statement by the Archdiocese of Melbourne that he was deeply moved by the Holy Father’s trust in making this appointment. ‘I extend my deep gratitude to Archbishop Denis Hart for his faithful leadership and strength of Christian character over the past 17 years. His welcome to me has been warm, generous and encouraging, and I wish him every blessing in his retirement,’ said Archbishop-elect Comensoli. At a national level, Archbishop-elect Comensoli is currently a member of the Bishops’ Commission for Family, Youth and Life, and for Evangelisation. From November 2018 he will take up the appointment of Chair of the Bishops’ Commission for Life, Family and Public Engagement, and membership of the Bishops’ Commission for the Plenary Council. The President of the Australian Catholic Bishops Conference, Archbishop Mark Coleridge, said Archbishop-elect Comensoli has the gifts and energies required for his new mission. Archbishop Hart described Archbishop-elect Comensoli as ‘a deeply pastoral and faith-filled man’.